My name is GRAN JEAN. 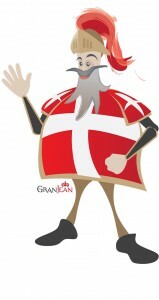 I am one of the Knights of Malta and a proud Ambassador of the Grand Hotel Excelsior Malta. I will keep you updated about Events and Activities taking place in and around the Grand Hotel Excelsior Malta. Malta has so much to offer. It is bursting with all year round events. There’s so much to talk about – culture, history, arts, festivals, concerts… Let me be the one to introduce you to Malta and all its treasures. I’m visiting places around Malta. So if you would like to stay updated with my whereabouts please like My Facebook Profile and check out my posts on the Grand Hotel Excelsior’s Facebook Page. 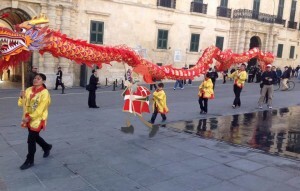 For instance I joined the Chinese New Year Celebrations. 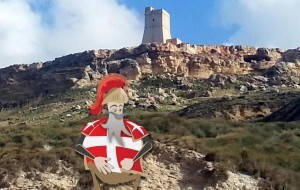 I visited places such as the Lippia Tower (also known as Ta’ Lippia or Ġnejna Watch Tower). This was built in 1637 by Vincenzo Maculani upon orders from Grand Master Giovanni Paolo Lascaris. Lippia Tower formed part of the intricate coastal defence network constructed by the Knights of St. John. Watchguards housed in Lippia Tower and a nearby tower at Għajn Tuffieħa, would communicate with the inland Binġemma Tower by means of flags by day and bonfires by night, which would, in turn, raise the alarm in the walled city of Mdina when corsairs were sighted off the western coast of Malta. I hope we will be great friends during this wonderful journey. And from here I wish you all a great life!! Appreciate all the wonderful things around you!